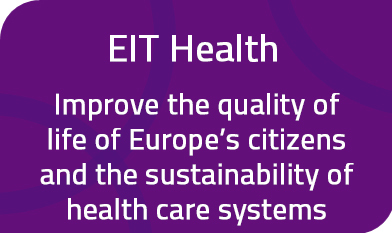 With the goal of improving healthcare in Europe, EIT Health's Innovation Platform provides comprehensive support for innovations that show the potential of rapid market penetration of innovative products and services, and the testing and implementation of novel organisational and healthcare delivery processes. 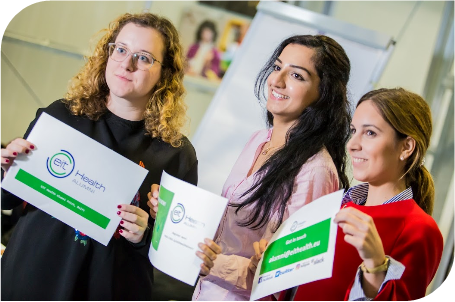 EIT Health Innovation Projects focus on three specific challenges: promoting healthy living, supporting active ageing and improving healthcare. The most promising ideas are developed into commercially viable products through a multi-disciplinary approach, involving business, medicine, IT and other fields of knowledge. Innovation by ideas refers to innovation that someone has created because it has occurred to them that they can offer something useful. These are new, solution-driven ideas that the creators believe will benefit society by improving healthcare. Innovation by Design refers to innovation that is meant to address an existing and usually widely known problem. Needs-driven projects that are created to address a recognised market need or societal problem, to deliver tangible results for citizens. EIT Health Wild Card Projects are high-risk, innovative projects with transformative potential. The projects are targeted at challenges provided by EIT Health Partners, where the “solution” of the challenge would be a major breakthrough.